Wesley Connolly specializes in the disposition and acquisition of single-tenant net-leased investment properties across the United States. Over the course of his career and education, Wesley has developed a vast repertoire of knowledge and skills that he applies every day to assist his institutional and private clients in accomplishing their respected real estate related goals. Wesley prides himself on cultivating long-standing relationships within the industry and leads every conversation with a focus on trust and transparency. He has developed indisputable credibility by exceeding the expectations of service while working with some of the industry’s most active REITS, developers, tenants and syndicators. By habitually monitoring the net leased retail market as a whole, Wesley has the expertise to add value with a variety of tenant types including casual dining, dollar, drug, auto, and convenience stores. Although capable and experienced with every tenant, Wesley has always held a specific emphasis on quick service restaurants. He has proven transactional experience in both individual assets and portfolio transactions which has assisted in growing one of the largest market shares nationally. As a part of the Sale-Leaseback division for Matthews Retail Advisors, Wesley enjoys utilizing his financial background in assisting operators in the underwriting, lease structuring and marketing processes of their customized program. Furthermore, Wesley has experience in business sale transactions and merger and acquisitions guidance for the casual and fast food tenant types. 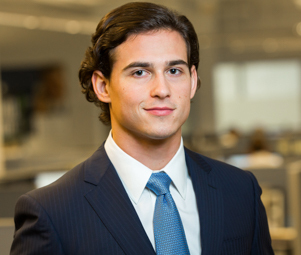 Wesley Connolly follows his father and grandfather in establishing a successful career in commercial real estate. Wesley has developed a passion for the industry, having grown up seeing his family enact some of the largest commercial developments and transactions on the West Coast. Prior to joining the Matthews Real Estate Investment Services™ Single-Tenant Net-Leased Practice Group, Wesley worked for several years at Colliers International focusing on retail investment sales. Before that venture, he worked for his family’s firm, Connolly Properties.